Not everyone is reacting positively to the news that Kurt Angle’s last ever opponent in WWE will be Baron Corbin … including Angle’s own wife. In the wake of Kurt’s announcement on tonight’s edition of Raw, Jim Ross took to Twitter to express his displeasure. “Underwhelming,” JR wrote in response to a tweet saying Corbin vs. Angle doesn’t exactly scream WrestleMania retirement match. JR wasn’t the only one who felt that way either. 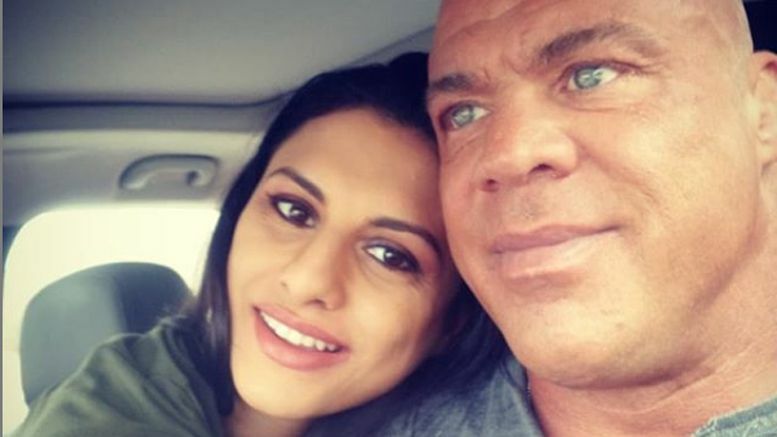 Kurt Angle’s wife Giovanna also made her feelings known when she replied “Very” to JR’s tweet. Prior to that, Giovanna tweeted “The fans chanting We want Cena…..we feel ya” during her husband’s segment.